"...as a huge part of my creative process, I carry a camera everywhere I go hoping to discover and document inspiration and capture the things that make my heart sing. From color, pattern and texture, to simple moments and milestones - the process of looking through my lens to see the world around me is a profound part of my life as an artist. 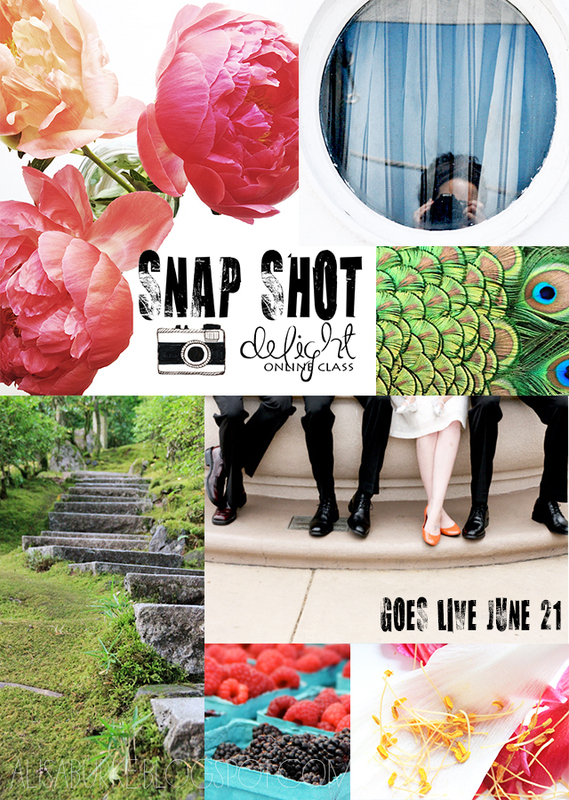 Snap Shot Delight is not about camera settings and technical information - instead I have put together my favorite tips, unconventional tricks, prompts and all kinds creative ways to use your camera as a part of your creative process..."
For more information and to catch the early bird sale before class starts, visit Alisa's shop here!